Hi my favorite friends! 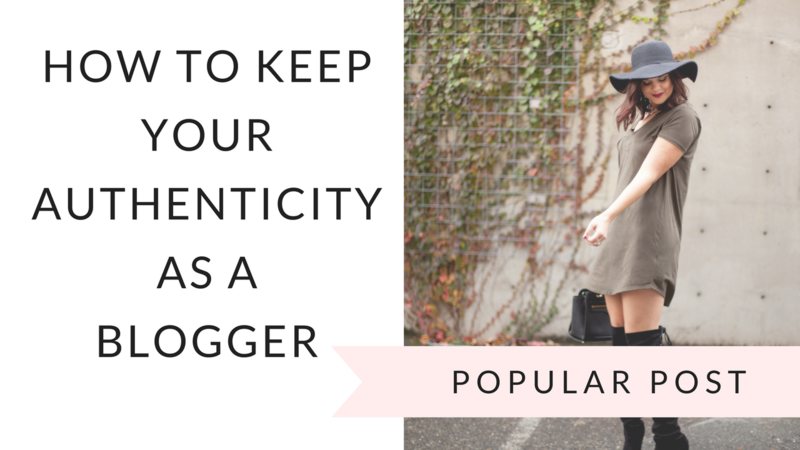 Today I am writing this blog to feature a look that I wore when I was well enough to walk! I definitely miss dressing cute! This week has been nothing but exhausting. I’m on my 10th day of bed rest and killing the time with reading and movies! After lots of pain, two ER visits, three doctor appointments, and lots of meds, we’ve finally found out some answers. Now that I know that it isn’t life threatening I can finally relax and wait for the pain to go away. I am strong and determined that it will go away soon! When I saw this hat at Old Navy I snatched it right up! I love the color, the price, and how often I am going to be able to wear it this fall! 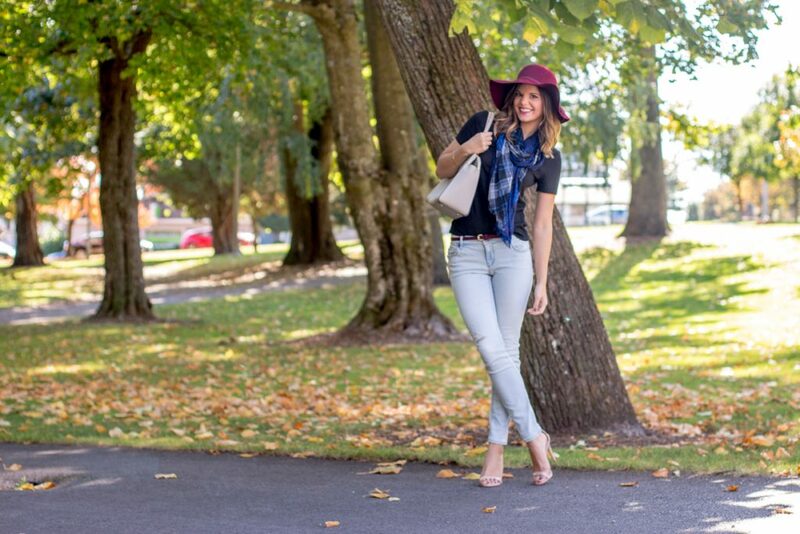 Scarves are a lovely accessory for layering in the fall. 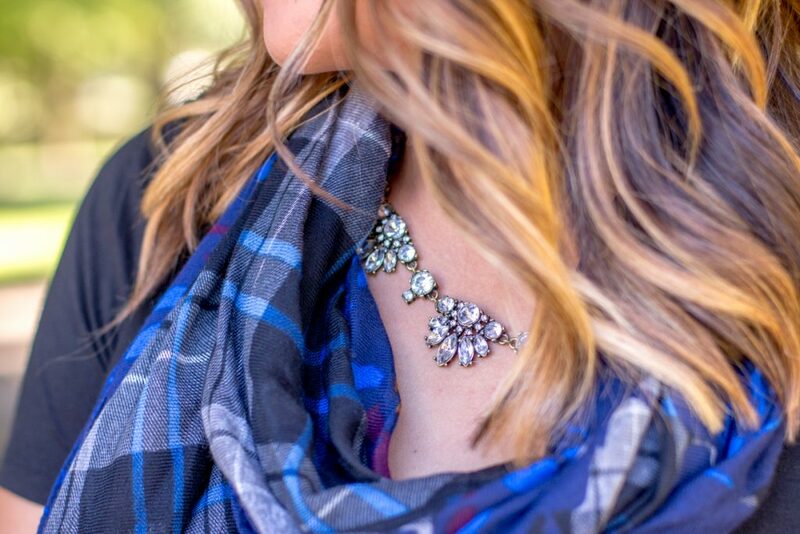 The plaid and flowers in this scarf made for a fun print! 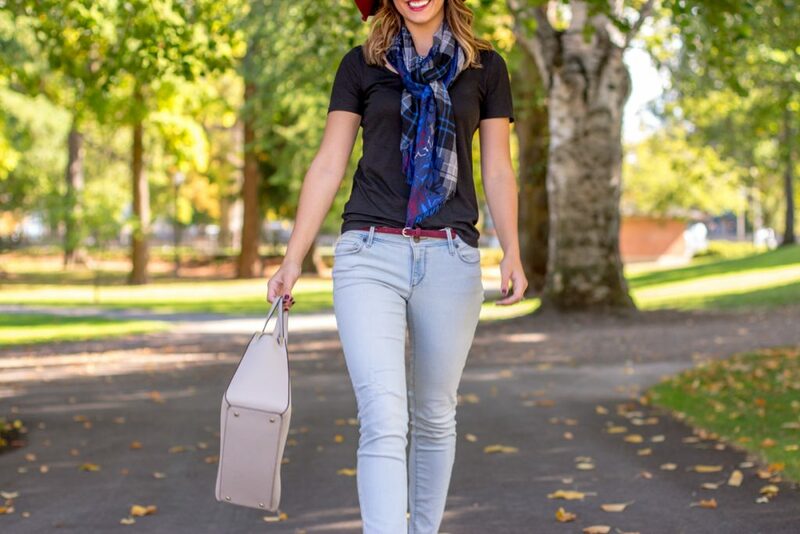 Besides the ability to keep me warm on cool fall days, I love the versatility to tie in a variety of ways. Coming soon is a tutorial to show you my three favorite ways to tie my scarves — can’t wait to show you! 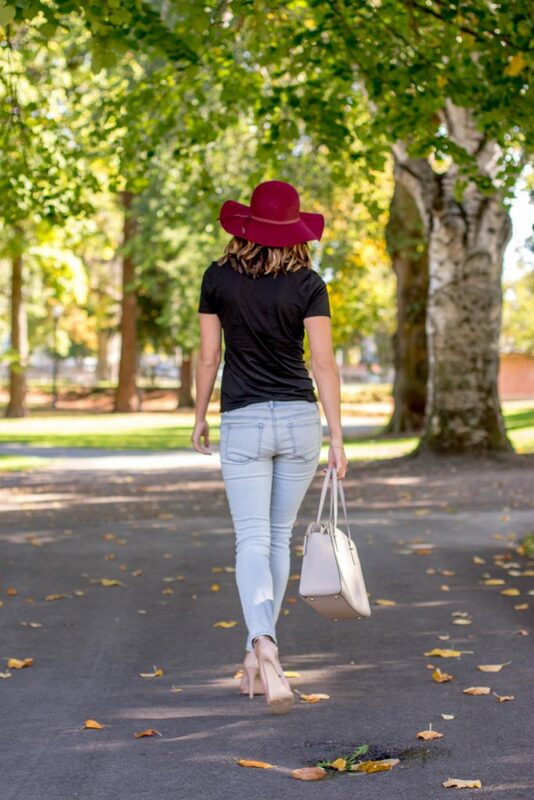 Skinny jeans and heels are a great combination that bring length to your legs! For a casual chic look, I love to wear my heels with jeans in lighter washes and a little bit of distressing. I scored these for a great price at an end of summer sale! Thanks for stopping by – don’t forget to say hi! molly! love the burgundy hat on you, you look amazing as always girl! Thank you so much Janna! 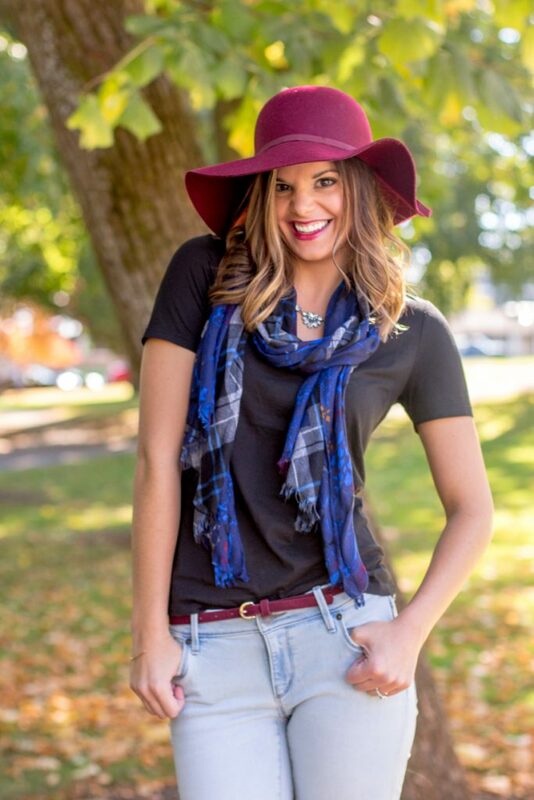 I love the color burgundy for fall and hats are just so much fun to wear! Molly I hope you’re ok. You’re in my thoughts and prayers. This outfit is super cute and great for every day. I also bought that floppy hat. It looks great on you. Thanks so much Asa. I am recovering and appreciate your prayers! So kind! Can’t wait to see how you style this floppy hat! I just love it! Awww thank you Juliana! 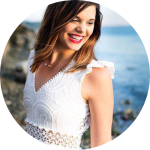 I just added your blog to Bloglovin’ and started following you! 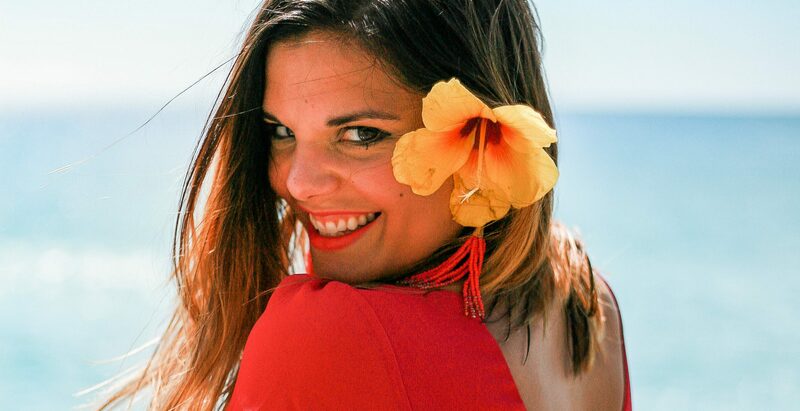 Thank you, Valentina! You are so kind! Awww but I love your gorgeous hair! Thank you, Victoria! Love the hat!!!! This is such a cute, laid back look! Thanks Shell! I got it for such a good price too! Yay! Oh nooo, Make the sickness stop! I’m glad that you are finding some answers though. I definitely love the heels and jeans look! Those heels rock because they can go with anything!! I hope you start to feel better & get off bed rest girly!! Thank you Nadine! Jeans and heels will always be my favorite, and these heels literally go with everything! The sickness is slowly going away, so I am super thankful for that! Love this hat Molly! What a great find. It can be hard finding a well-fitting hat, so I tend to do the same and buy them right up. I looked for you on Instagram today and couldn’t find you. Hope you’re feeling better. Thanks Kelsey for looking me up and I’m sorry you couldn’t find me! I’m not sure why my account has been disabled but I am trying to get it back up! Molly, you are too adorable! I love your whole look, but especially the hat. 🙂 I’m so sorry for the recent health issues you’ve had. Like the above commenter, I noticed your disappearance on Instagram and am hoping you are okay… Hugs! Aww thanks so much Shelbi! I am doing okay, thanks for checking on me! Just trying to get my disabled account back up and running! Such a weird situation but I’m staying positive about it! Thank you! So glad you noticed and like the new look! After six months, it was ready for a makeover! I’m so sorry to hear about your latest health issues. I’m glad you are finding the answers you need. I hope you feel better! Big hug! Thank you Diane! I’m so thankful for doctors who care and medical technology that can determine what is wrong. So darling – you have the most gorgeous smile. Missing you on IG – hope everything is ok and you return to us soon. Aww Kim, that made me smile! I hope I return to IG soon! Not sure what’s going on, but I’m working on getting it back! Love the color of this hat and your scarf is so pretty! I hope you had a wonderful start to your week! Thanks Julianna! I took your recommendation to “shop at Old Navy” and sure enough my first trip there I found this hat and belt! Thanks for your help! Girl, that hat!! Such a great color. And you pull it off so well! I hope you get to feeling better soon! Sending lots of good vibes your way! Thanks Kim! 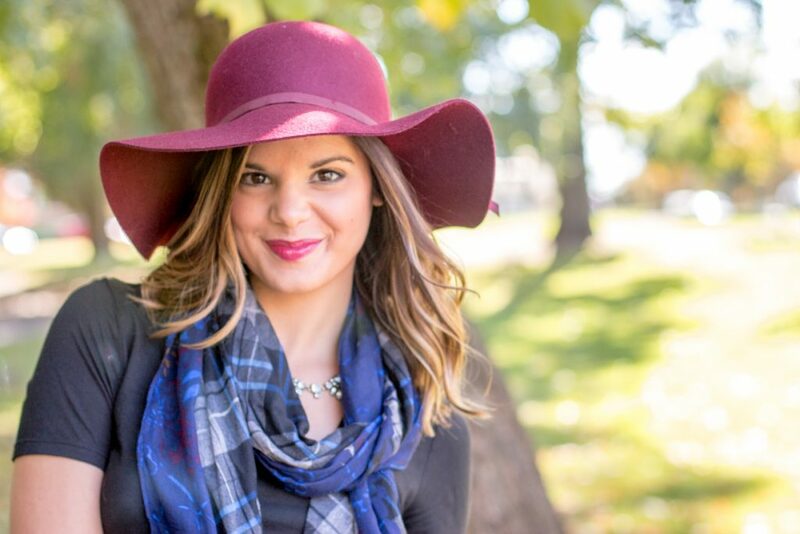 This color is my go-to color for fall and hats are perfect for my bad hair days! Thanks for the love! Hey Molly! I came here to look for you! When I noticed you weren’t on IG, I got so scared! Glad to see you are answering to other readers about your IG’s situation and you are recovering! Thank God you are doing ok! Take care, my love!! Hi Jo! Yes, I’m OK thanks so much for you concern! Hopefully the issue will be resolved soon! What a whirlwind this past week has been! Keep smiling my beautiful friend! You look so lovely in all of those pictures and that outfit is so beautiful! That shade of blue looks amazing on you! I’m writing to you because I just saw that your IG account was suspended, so I don’t know what happened. I really enjoyed reading your kind comments and seeing your lovely posts. I hope you are feeling better. Take care of yourself. Thank you my dear friend! I do not know what happened either, but I hope that my account is recovered soon! I miss the sweet Instagram community and connecting with wonderful people like you! I hope you get well real soon. Hang in there. You look absolutely beautiful in these pictures. Be strong!!! Thanks girl, I am staying strong! And can we just make this wine color the official color for fall??! I just love it so much! Love the colour of your hat Molly! So perfect for fall. You’re definitely going to get a lot of use from this hat:-). I really hope you are feeling better soon!! That is so awful….ER visits are never fun! Thank you SO much Ela! I am definitely feeling better! Iknow I have gotten more use out of my black one so far, but I love this color of hat too! those shoes are great! they remind me of the stuart weitzmann Nudists. super versatile. You look great!